Things are moving forward in the pizza oven department, folks. Slowly in the right direction. I swear, if it weren't for Joe's friends, we wouldn't even be talking about an outdoor wood-fired pizza oven in our backyard. Bruce donates hours from his precious weekends to build it, Kevin is constantly dropping off logs in our driveway and Randy is always there with his log-splitter ready and willing to help buck up Kevin's wood donations. 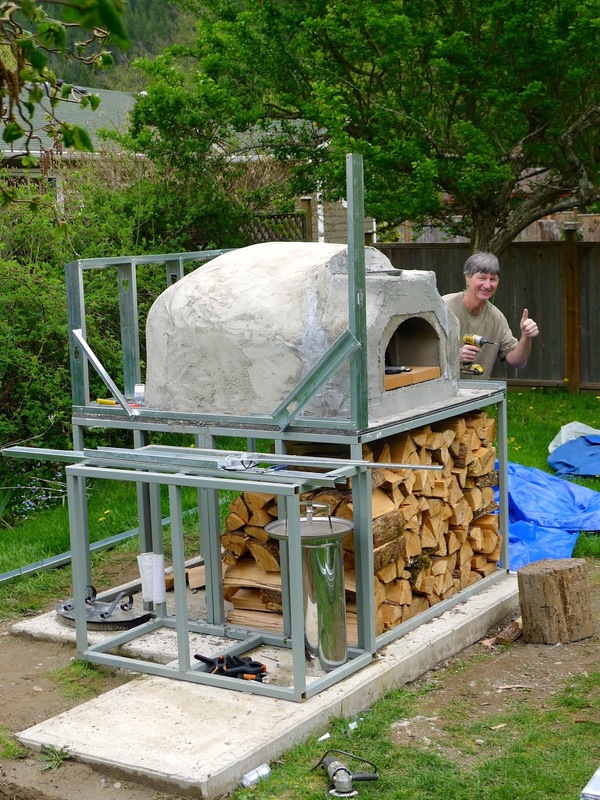 The pizza oven got woken up from its long winter's sleep. The guys are putting on the final skim coat. 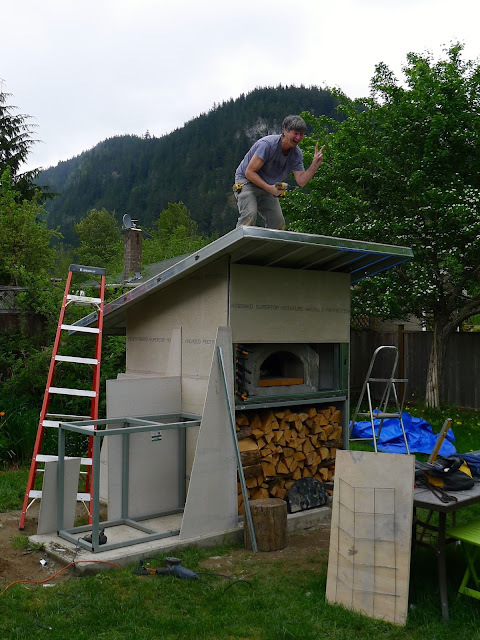 Building the enclosure to keep the oven safe from the rain and wind. 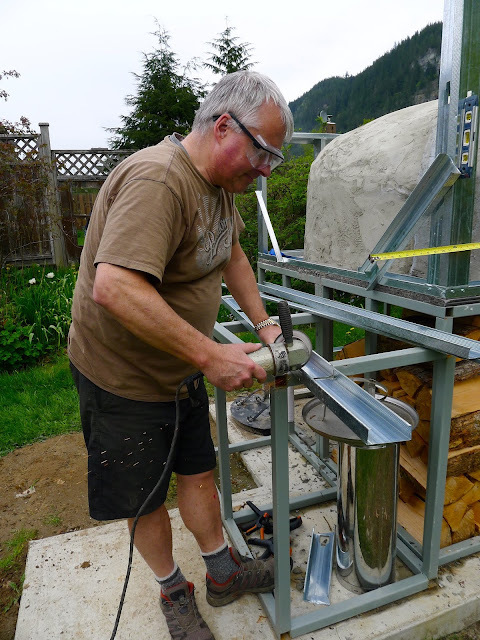 Showing off his mad power tool skills. It starting to look like something! Now Joe just has to figure out how he wants to finish it. We should have spent Sunday stacking the wood Randy split for us, but we ran away from home and hiked up Al's Habrich Trail instead. 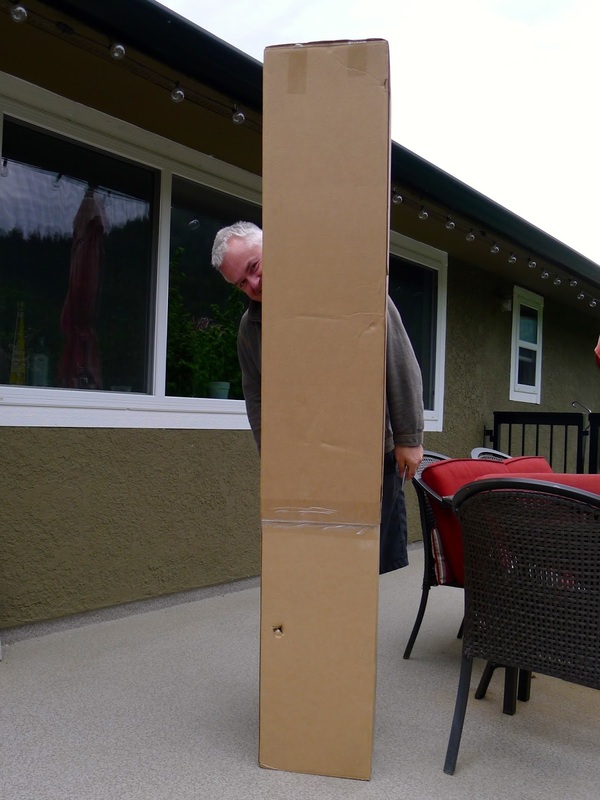 This package was waiting for Joe on our doorstep yesterday evening. SUCH EXCITEMENT! It was full of pizza oven tools. This tool can double as a back scratcher. Ahhh, heaven! This brush can help tame my unruly hair! A happy guy. His dream is getting closer every day.